Absolutely Perfect! ... This hotel and tours they operated made our trip in Bangkok! The hotel is charming, unique, clean, great customer service, food, smoothies..., we absolutely loved it here! If you don't stay here, you are missing out! Sivalai Place offers the peaceful & luxurious living spaces. 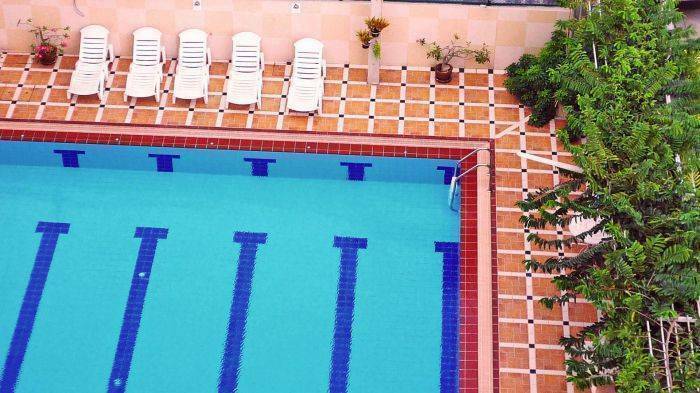 Enjoy the afternoon dip in Ozone Swimming Pool or keep fit at Fitness Room. Experience the Thai way of living. A luxurious and spacious living area; the finest and fully furnished residence; every unit has its own electric stove, microwave, refrigerator and large LCD flat screen TV; it offers various facilities such as ozone swimming pool, tennis courts, fitness room sauna FAR infrared, pool table, foosball table, and karaoke; top security with key card system, 24 HR CCTV and 24 HR security guard; private and peaceful sanctuary away from hectic Bangkok life; a close distance to markets, shopping malls and hospitals; experienced and helpful staffs including friendly neighbors, close to various alternative public transportation routes such as ferry, BTS (Skytrain). 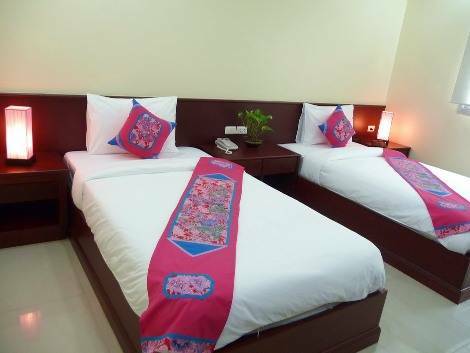 Perfect for both short or long stay in Bangkok. 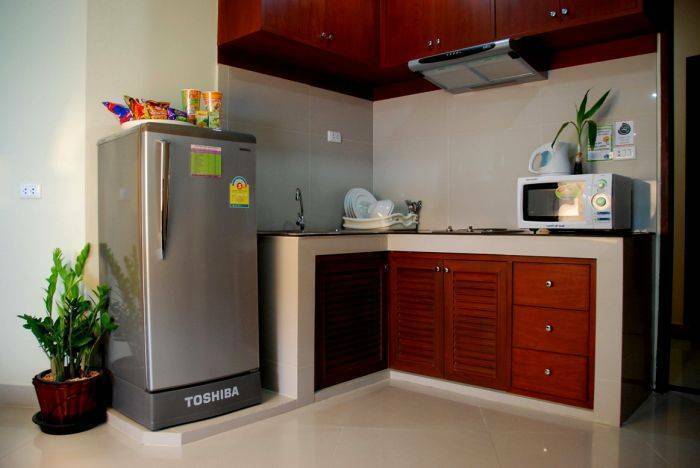 These immaculate fully-furnished apartments range from Studio to 1, 2 and 3 bedrooms. The sizing is varied from 44 Sq. m. to 120 Sq. m. Our spacious 53 units are fully equipped with high quality facilities designed to ensure your comfort and convenience. In addition to the high-quality facilities and amenities in this building, Residents have full access to the standard ozone swimming pool & fitness center as compliments. At Sivalai Place, we offer community social events where Residents can mingle and get to know each other as well as share their own experiences. Thonburi is the western part of Bangkok, situated on the right side of the Chao Phraya River. Its many canals had originally given Bangkok the name “Venice of the East.” Passing by boat along the canals gives you a first hand impression of the scenic life along Bangkok’s waterways. Also visit the Royal Barges and the Temple of Dawn. Take a boat trip along the Chao Phya river and the klongs (canals). visit the temple of dawn "Wat Arun" -best know for its porcelain encrusted 79-metre central pagoda. Also visit the royal barges and the grand palace. Travel by motor boat on the Chao Phya river and see the canals (klongs) of Bangkok. See the serene family homes and temples along the water-ways which have given the city of Thonburi the name, "Venice of the East". Afterwards stop at the temple of dawn (Wat Arun) before heading to the grand palace. This complex includes the temple of the Emerald Buddha (Wat Phra Keow) which is unquestionably one of the wonders of the world today. Within its enormous grounds is the most exotic Buddhist temple and at the heart of the temple itself is a fabulous buddha image, carved from one piece of jade, which is the holiest and most revered of religious objects in Thailand today. The royal barges are long, ornate boats used in ceremonial processions on the river. The largest is 50 meters long and requires a rowing crew of 50 men. The most important barge is the Suphannahong (the fourth one in the picture almost hidden behind the third), which is the king's personal barge. It is made from a single piece of timber and has a swan head carved into the bow. 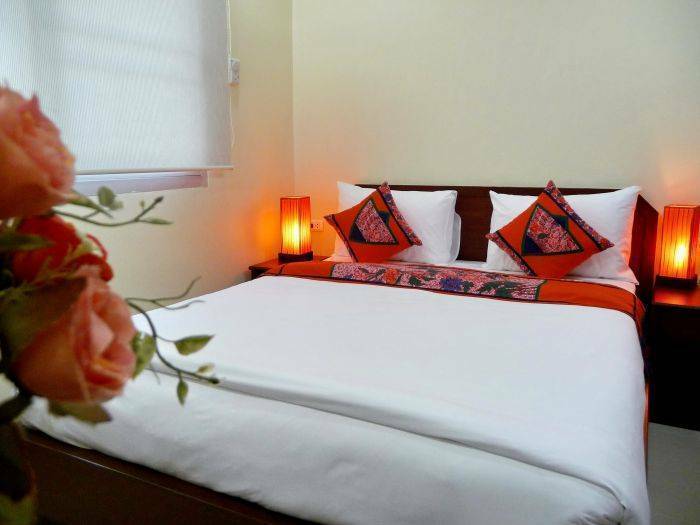 15 min drive to Shrewsbury International School, Thammasat University, & Silpakorn University. Any unexpected guests increase in the number of guests over the number originally reserved the apartment for will be automatically charged the full occupancy of 850BHT per guest per night during the entire stay. 1. Linens & Towels will be provided upon your arrival. Additional change of linens and towels is available with an additional charge. 2. The apartments are completely cleaned prior to your arrival. Additional cleaning is available on request for an additional charge depends on the apartment room types. 3. High speed LAN/WIFI Internet is available on request with additional charge as follows: Daily fee: 50 BHT with nodeposits required. 4. Smoking is not permit inside the apartments. However, smoking is allowed outside the building in the open areas. 5. The Ozone Swimming Pool and Fitness Center are made available to Sivalai Place's Residents at no additional charge as complimentary. 6. Check-in is from 12.00hr and Check-out is at 11.00hr. For a guaranteed late check-out; clients should book for an additional night, charged at 100%. All stays are calculated and sold 'per night'. Late check-outs can be requested at the moment of reservation in the additional comments box, but may come at an additional fee (usually 50% of the nightly rate). 7. The Office hours are from 09.00hr to 21.00hr, Mon through to Sun. Even though we are not a full-serviced apartment with 24hr front desk; but if you find yourself running early or late and will not arrive at that time, please kindly let us know as soon as possible. a) The Security Guard will ask to see the reservation/confirmation document & the passport to crosscheck name and the reference number. b) Guests must fill-in the provided Guest registration form. c) The Security Guard will then show you to your reserved apartment unit. Regarding the payment upon arrival for late check-in, we would prefer for our Residents and Guests to make the payment at the Main Office on the following morning from 8.30hr onward. There is no additional charge for late check-in. We also suggest that you make a pre-order meal which is at the menu price and no additional charge. Pre-order meal must be made before arrival with at least 24 hr notice. 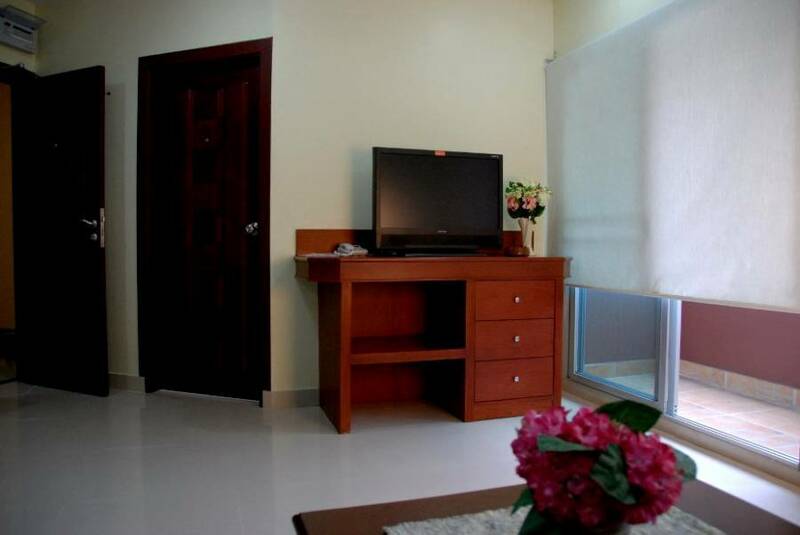 We want to make your arrival and your stay at convenient and hassle free as possible. Thank you for your interest and inquiry about Sivalai Place. Please let us know if there is any way we could serve you better. We shall be very happy to hear your comments and suggestions which we hope will help us further develop Sivalai Place in order to serve all your needs. **Remark : The policy can be changed without notice. 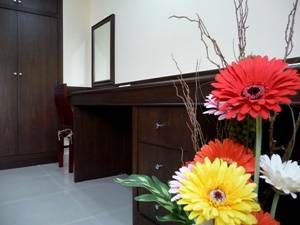 Sivalai Place is conveniently located in a quiet and safe neighborhood of Sivalai Villas, near Isaraphab rd, Charansanitwong rd Pinklao and Sathorn bridge. 5 min drive to Siriraj Hospital, Thonburi Hospital, Phayathai 3 Hospital, Naval Base, Royal Barge & Temple of Dawn. 10 min drive to Wongwien-yai Sky-Train (BTS), Shopping Malls & Local Market. 15 min drive to Grand Palace, Wat Pho, National museum & National Art Gallery, Khao San road, Chinatown, Little Indian (Pahurat), Flower Market, City Pillar Shrine, Democracy Monument, Throne Hall & Vimanmek Mansionl, Thammasat University, Silpakorn University & Siam University. Service hours: 5 a. m. - 12 p. m.
Contact at Airport Bus Counter Level 1, near Entrance 8. Fare is 150 Baht per person per trip.